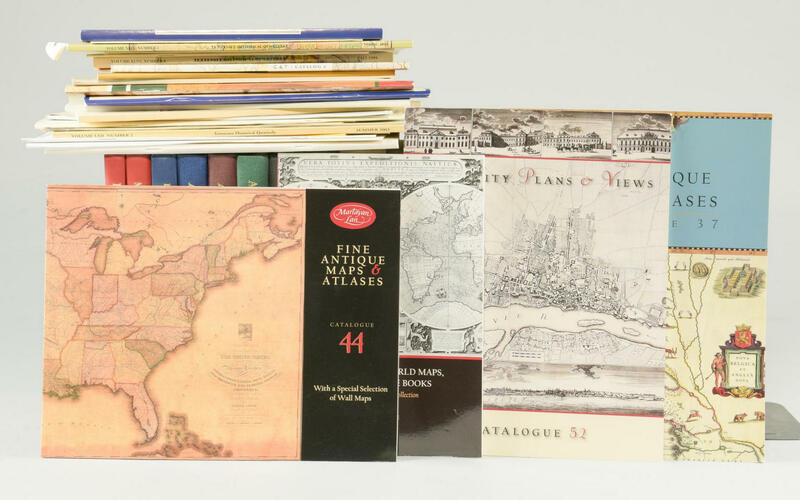 Lot 176: Map reference book lot #3: General Lot of reference books. 38 books plus approx. 33 catalogs, Historical quarterlies and offprints. 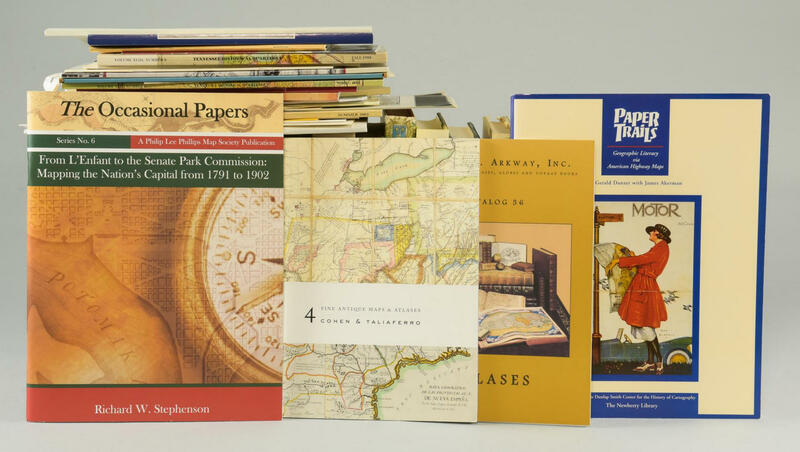 You are here: Home >> October 22, 2016 Fall Auction with Online & Absentee Bidding >> Lot 176: Map reference book lot #3: General Lot of reference books. 38 books plus approx. 33 catalogs, Historical quarterlies and offprints. Book 1: Maps are Territories. Geography and Maps. Author: Turnbull. Book 2: Monarchs Ministers and Maps: The Emergence of Cartography as a Tool of Government in Early Modern Europe. Author: Buisseret. Book 3: Five Centuries of Map Printing. Author: Woodward. Book 4: Art & Cartography. Author: Woodward. Book 5: A General Map of the Middle British Colonies in America (facsimile). Author: Evans. Book 6: History of Cartography. Author: Bagrow. Book 7: Maps; Finding our Place in the World. Author: Akerman. Book 8: Book of Old Maps. Author: Freeman. Book 9: Landmarks of Mapmaking. Author: Bricker. 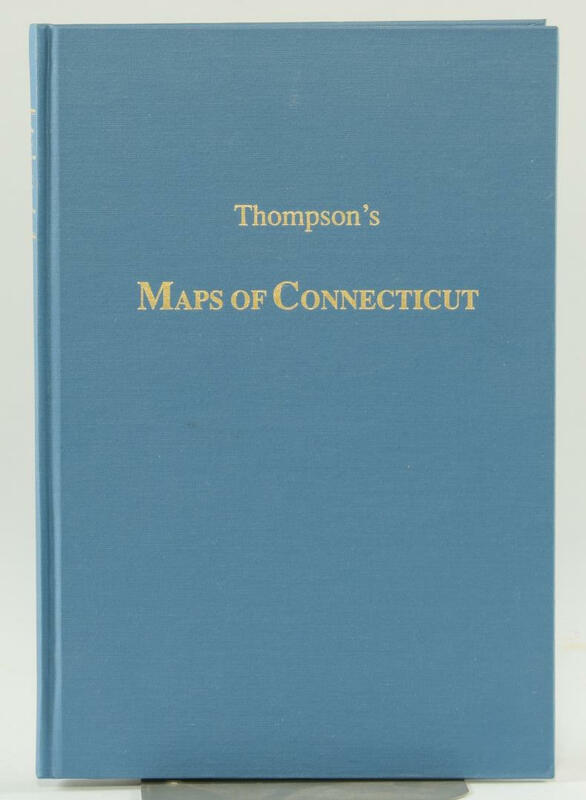 Book 10: Two by Two, Twenty-two Pairs of Maps from the Newberry Library…. Author: Akerman et al.. Book 11: Railroad Maps of North America; The First Hundred Years. Author: Modelski. Book 12: Maps and Mapmakers of the Civil War. Author: McElfresh. Book 13: Investing in Maps. Williams. Book 14: The Young Oxford Companion to Maps and Mapmaking. Author: Steoff. Book 15: [Sales Prospectus] ìLiterary Selections on Cartographyî: A folder with string ties including information on the publication of Harleyís History of Cartography. Author: n.a. Book 16 and 17: Maps in British Periodicals (Volumes 1 and 2). Author: Jolly. 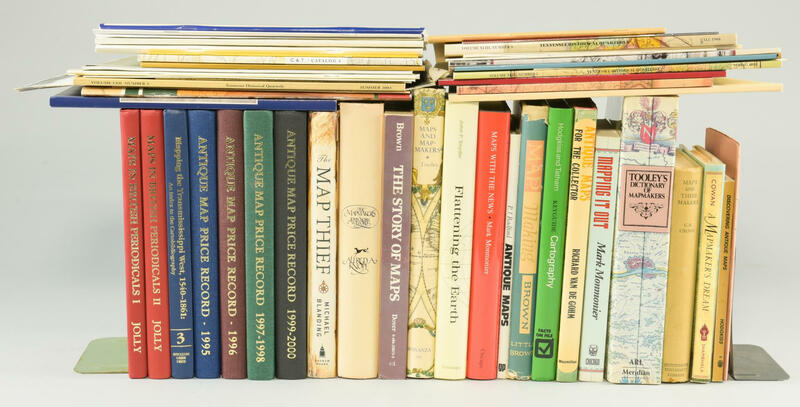 Books 18, 19 20 and 21: Four volumes: Antique Map Price Record 1995, 1996, 1997-98, and 1999-2000. Author: n.a. Book 22: Antique Maps for the Collector. Author: De Gohm. Book 23: Map Thief. Author: Blanding. Book 24: Discovering Antique Maps. Hodgkiss. Book 25: Mapmakerís Dream. Author: Cowan. Book 26: Maps and Their Makers. Author: Crone. Book 27. Dictionary of Mapmakers. Author: Tooley. Book 28: Mapping it Out. Author: Monmonier. Book 29: Maps With the News. Author: Monmonier. Book 30: Keyguide Cartography. Author: Hodgkiss. Book 31: Map Making. Author: Brown. Book 32: Mapping the Transmississippi West, 1540 1861: An Index to the Cartobibliography. Author: n.a. Book 33: Antique Maps. Author: Radford. Book 34: Flattening the Earth. Author: Snyder. Book 35: Maps Mapmakers. Author: Tooley. Book 36: Story of Maps. Author: Brown. Book 37: Mapmakers. Author: Wilford. Book 38: Library of Congress Geography and Maps Guide. Author: n.a. Approximately 20 offprints, pamphlets, newsletters, catalogs, 2 Occasional Papers from the Phillip Lee Phillips Map Society, etc. ; Three Tennessee Historical Quarterlies with map/cartography content; Ten Map dealer catalogs: Martayan Lan(6) plus four other catalogs from various dealers. Books range in size from 11 1/2" H x 14 3/8" W x 7/8" D to 15 7/8" H x 11" W x 1 1/4" D. Collection of Charles and Ann Wells, Nashville, Tennessee. 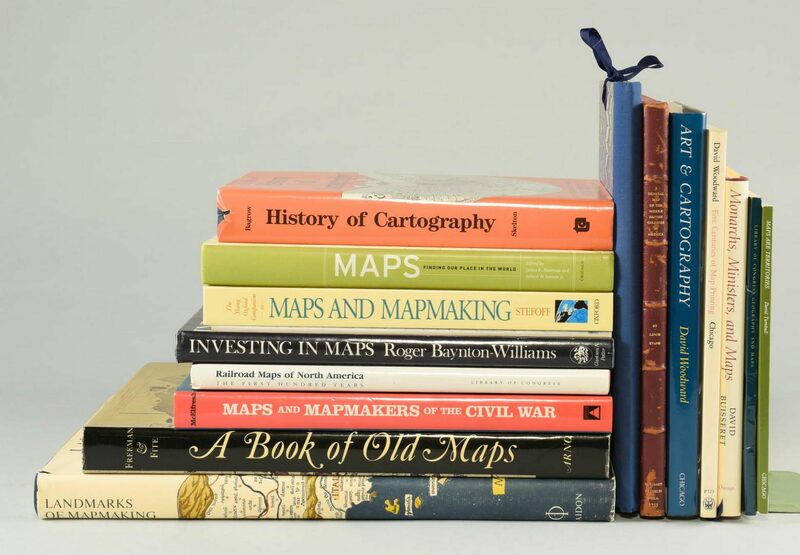 CONDITION: All items in very good condition from the library of a distinguished map collector. A few expected notations in some of the catalogs.